The connector fits to all IBC and canisters with S60 coarse thread (ca. 60 mm diameter). The matching filler hose is s-kr-1z, the adequate hose clamp is ss-20-32. 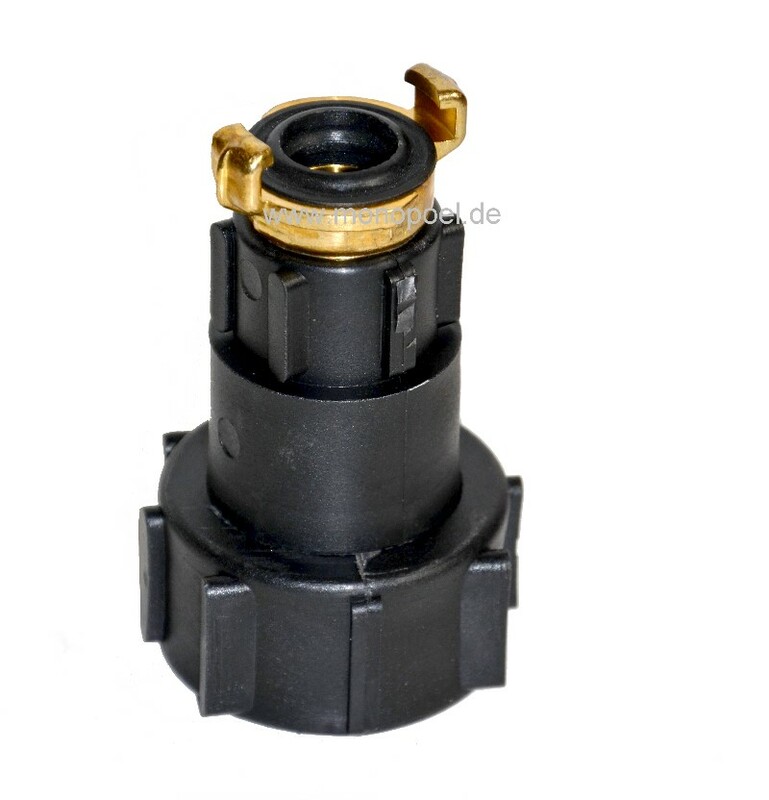 As an alternative to the simple quality of the ibc-geka we provide this bayonet connector in heavy duty industrial quality. Basis of the Geka adapter is a heavy (110 g), rotatable IBC connector made of thick-walled polypropylene. Inside is a massive Geka connection of hot-pressed brass glued, this combination is extremely robust. We believe it is worth the 5 Euros extra compared to the standard type!